darkSpyro - Spyro and Skylanders Forum - The Legend of Spyro: Dawn of the Dragon - So, what WAS Darkest Hour going to be like? 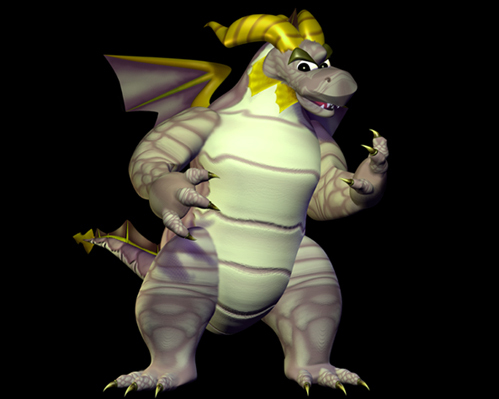 darkSpyro - Spyro and Skylanders Forum > The Legend of Spyro: Dawn of the Dragon > So, what WAS Darkest Hour going to be like? It would have been better then this game, I'll tell you hwat. But seriously, what was planned? We don't know, but we know that Spyro and Cynder were still going to be little dragons. And as seen in the post scene of TEN after the credits, Hunter would've looked different than what he was in Dawn of the Dragon. Krome Studios were already working on DotD before Sierra/Activision switched game developers. Just noticed that there have been so many 'What if' topics on the Darkest Hour and EL's take on DotD on this board. It happens when we have literally nothing else to talk about when it comes to DOTD. Why X plot hole?Why Malefor is such a mess? Why they screwed up free flight mechanics? Because EL wanted it. Those things weren't going to happen with Krome 100%. But I remember some storyboards they had around, it wasn't specific if it was cut ANB or TEN content or really for next game but it showed Spyro and Sparx bickering a bit and then escaping an exploding mountain with Cynder,and all were kids. That's all that surfaced, as far as I know. Afraid not. The first and last time I saw that storyboard it was on the Spyroforum's news site(that 'can you feel the heat' one, at least I think it was linked to Spyroforum), which I don't think exists anymore. It turns out the folks working at Krome did a lot to improve the story of ANB and TEN and contributed a ton to the way characters acted. But all we ever got for sure was a bit of concept art and that's all we know. There was concept art of Spyro fighting Dark Spyro. ^ Oh, I didn't see that one! I saw the concept piece of a crypt with a tiny Spyro and Cynder inside for size comparison. Does anyone have any of this old stuff saved, by chance? That was EL's concept art for DotD unfortunately, not one of Krome's. Too bad Jared Pullen was never allowed to post concept art for Darkest Hour, he was Krome's concept artist. Not only I said already a few times how I love his strange twisty style, he mentioned quite a few cut things from ANB during the 'From the Dragon's Vault' blog posts. I hope they put a human in Darkest Hour. The human might teleport into Spyro's world. And then he might start helping them after he was found in a forest. And somewhere at the end, it might be time for the human to go back to his home. Sorry for bumping this thread up. ....You didn't even read the topic did you. It's a cancelled game. ...Kind of a weird bump considering the note it ended on, but it's still on the first page and not too far down so I hope it's fine to use this thread still. I was thinking yesterday; Jared Pullen answered questions from an overly excited fan last year about the LOS series back when it was with Krome, and didn't seem to hold anything back. Is it possible we could try asking him if he has any concept art left of Darkest Hour or at least how the story REALLY was going to end? We could just get a no, but I wonder if it's right to at least ask nicely. Last year or sometime I emailed Rebecca Kneubuhl (or however you spell it), who was one of the 2 composers for TLOS and she responded. Not that there was anything too interesting found (some of us were wondering what the words were from The Eternal Night title theme, but we didn't find out exactly what they were, it had been too long and that information was gone I guess) but the fact that she responded and was willing to answer my question even years after the game had come out was surprising. Huh,considering the two composers parted ways(well at least their site got split in two different ones),thought that they wouldn't be able to talk much about their older projects,NDAs and whatnot. Still too shy to send an e-mail to Jared ;-; it's like that with every artist I like, I'd probably close up even if it was someone chill like the TFB devs. Wish I had that DragonsOfIceandFire guy's courage,he's been getting quite a lot of stuff,unsed,unused,half used even from him. I'd be happy with just a 'we originally planned this and that, Darkest Hour was or wasn't the name', not even a need for concept art, but whenever I try to think of something I just get embarassed at myself. I've always wondered about this! I've always wanted to know what TDH would have been like! Good luck :3 Well, from the sheer amount of answers and content he already shared, he's chill, it just depends on this sti being under NDA or not. But it's been 8 years, a bit too long to keep an unfinished game under wraps for someone so short-term like Activision. I'd love to see what exactly was planned before the game was taken out of Krome's hands. Seeing how Jared Pullen is on DeviantART now, I wonder if maybe, just maybe, he might post something related to this? Not sure how likely that is, but it'd be nice if he had anything he could share (even just answering questions would be great). ...Unfortunately I don't have the courage to ask him anything about it. @Bolt I know it's been awhile since anyone posted in this topic, but good luck! Considering he isn't even started with his ANB stuff, I'll wait a little. Noticed most people don't really get his character analysis and think he's rambling but gotta respect a concept artist's craft. Once he's somewhere at TEN it'll probably be easier.